“Four score and seven years ago our fathers brought forth on this continent a new nation, conceived in Liberty, and dedicated to the proposition that all men are created equal.Now we are engaged in a great civil war, testing whether that nation, or any nation, so conceived and so dedicated, can long endure. We are met on a great battle-field of that war. We have come to dedicate a portion of that field, as a final resting place for those who here gave their lives that that nation might live. It is altogether fitting and proper that we should do this. 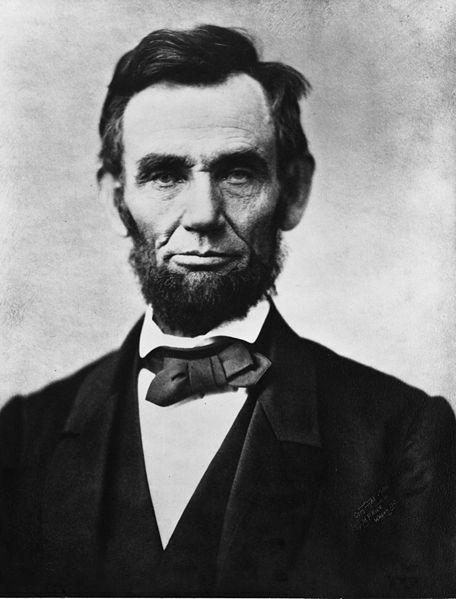 Abraham Lincoln was born February 12, 1809. He is one of the most respected presidents in the history of the United States. This week, several TV networks are running specials about his life. The Lincoln Memorial in Washington D.C. is visited by over 3.5 million visitors per year. his make is invoked by Presidential candidates. He continues to hold the fascination of the American people. Lincoln still captivates us. I believe it is because Lincoln’s life story, his actions, and his character and courage throughout a long and terrible national conflict, still appeals to us at some deep inner level. His words still resonate in our souls. The Gettysburg Address is one of the most famous American speeches, maybe THE most famous American speech. We still long for leaders with character and courage.